We’ve already talked about New York Comic Con on the TORWars and Mos Eisley Radio podcasts, but we still manage to find a few topics that we didn’t cover. We are joined by Virtek (Damien) from TORSyndicate and Guild Umbra to get his NYCC impressions and later by our very own Jason Taylor to discuss Dark/Light impact on gameplay. We also can’t help talking about the new Kung Fu Panda expac. More Show Notes, all NYCC coverage, and Comments after the jump. FACT OR FICTION: Can you pick out the confirmed fact from the tall tales? This week’s challenge concerns Dark side corruption, species/class combos, dungeon finders. Here’s the link to the post of awesomeness where TheDarkKnight has gathered up all SWTOR info. Fri Up 10/14: NYCC: Signs of War Trailer. Satele, Trooper Dude, Darth Malgus in-game! Fri Up 10/14: New Game Systems page. Fri Up 10/21: Eurogamer Expo Highlights Video. Hi, Dover! Fri Up 10/21: Collector’s Edition video. Kathy & Roxanne rail against class warfare again. Fri Up 10/21: Fan Friday. We loved Dreddon’s Bounty Hunter even before we knew he had given us a shout out on his thread. Paris Games Week, Oct 21-25. 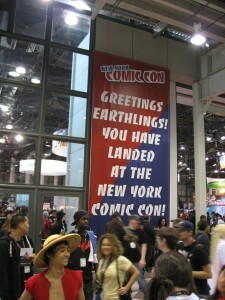 New York Comic Con 2011: mini-reveal recap here and here, Fansite Face-Off, David Bass interview, SWOOTR-not-SWEATER debate, it’s not Steve Blum. Massive influx of press reviews of SWTOR follows lifting of press embargo on Oct. 15th. CRR article gathers links to lots of different gameplay reviews from IGN, Massively, Rock Paper Shotgun, the Escapist and many more. SITH OR JEDI: We find out which path we walk in real life with The Test of the Last Appetizer. Virtek/Damien (@Virtek_dma) and Jason Taylor (@JT_Holonet) for joining us on our podcast. This was tons of fun!! Thanks so much for letting me join you on the show!! It turned out nicely, I say. No doubt we gotta hang again if any of you hit another Con! @JediKaiden Aw, I’m sorry you didn’t get a chance to say hello. It would have been Roxanne and me, not Carla, at NYCC, though. Looking forward to playing in game with MERC! Less than two months now…. Hope we get a chance to actually meet at a future con! @Virtek It was great to put a voice with the name! Great show man! @Carla, Kathy and Roxanne Thanks for letting me be on the show. I loved it! I think WoW is amazing for everything it has done and how long it has done it. I think that how far they go depends on how Mist of Pandaria does. I do agree that level cap 100 seems like a logical goal, but if the numbers are not there or if they move on “Titan” sooner that might change a lot. All that said, I’m like you…bring on SWTOR!! I’m glad you all like the bounty hunter image, high Praise indeed if Roxanne was impressed 😀 but now i feel guilty that i didn’t get Corellian Run Radio in the Image!! Fantastic work, and thanks for stopping by. Yes, definitely, say hello if you see us at one of these events! In both Kotor 1 there were no abilities linked to Dark or Light, the force cost was just different depending on your dark or light and then you got a special bonus to force points or hit points or whatever when you mastered either side. In Kotor 2 there was a single ability gained when you faced the council, irc, that was based on your dark or light decision in that one instance. Otherwise, once again, every ability was available just with a different force cost. I have played both of those games many, many, many times. I love your podcast, and Carla, I will see you in the guild for the old folks.